The ghosts of a 1925 multiple murder stalk Doc Ford, in the electrifying new novel in the New York Times-bestselling series. Doc Ford has been involved in many strange cases. This may be one of the strangest. 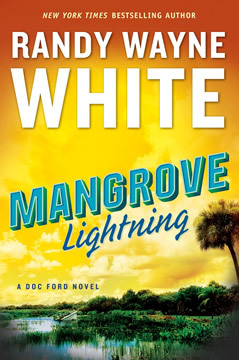 Ford doesn’t believe in curses, but as he and his friend Tomlinson begin to investigate, following the trail of the attacks from Key Largo to Tallahassee, they, too, suffer a series of near-fatal mishaps. Is it really a curse? Or just a crime spree? The answer lies in solving a near-hundred-year-old murder . . . and probing the mind of a madman.